Where do I use my Internet Gift Store voucher code? Find a suitable discount code from NetVoucherCodes. Follow the link through to the Internet gift Store website. Search for gifts you wish to buy and add them to your bag. Select ‘Checkout’ to view your bag. Insert your code into the box labelled ‘Enter Offer Code’. Click ‘Apply’ then ‘Pay With Card’ to finalise your order. At Internet Gift Store you can discover gifts for him, her and kids, as well as occasion and personalised gifts, home and garden products, fashion, stationery and figurines. Shop from a variety of different brands such as Yankee Candle, Game of Thrones, Beano, Ted Baker, Harry Potter, Disney, Pokemon, Batman, Gruffalo, Manchester United FC, Betty Boop and so much more. You can also shop for new arrivals and clearance products and discover seasonal gift categories at certain times of the year such as Christmas and Easter. As well as tons of gifts and merchandise Internet Gift Store provide free delivery, next day delivery, 10% off with newsletter subscriptions, personalised gifts and a price match guarantee. They also offer a handy blog for gift inspiration that features buying guides, tips and advice. In the blog, you’ll also find exclusive products and discounts as well as upcoming stock that you won’t want to miss out on. There’s also a competitions tab available that gives you the chance to win everything from Yankee Candles to the Star Wars Death Star trinket box to gift hampers. 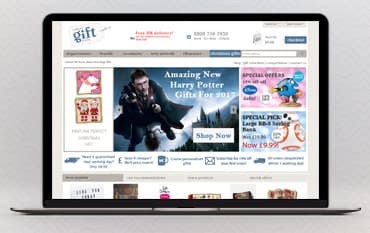 Internet Gift Store offers £10 gift vouchers with every £100 you spend when you’re a registered user. They’ll issue the voucher three days after they’ve dispatched your goods. The vouchers are issued in accordance with your cumulative spend, for example: if you spend £120 on your first transaction they’ll send you a £15 voucher. The next time you spend £80 or more on your second visit, they’ll send you your second £15 voucher. This fantastic loyalty scheme allows you to be rewarded when you buy online at Internet Gift Store, enabling you to enjoy more for less. Internet Gift Store’s prices are already low, but if you’re looking for a bargain you can check out the online clearance section. In this handy clearance section, you can save over 50% off a huge variety of gifts and brands such as fidget spinners, Marvel, Star Wars, WoodWick candles and more. Find everything from mugs to dressing gowns to masks, photo frames and even lunch bags, all at discounted prices that you’ll love. The products in the clearance category have been rated 5 stars based on 53 reviews from Internet Gift Store customers, so you can rest assured that each item you buy will be of the best quality and value for money. If you’re looking for value for money stocking fillers, secret Santa presents for your work colleagues or small and thoughtful gifts for your children’s teacher, you can find the perfect items in Internet Gift Stores Christmas gifts section. Discover advent calendars, Yankee Candle gift sets, Christmas Disney ornaments, cosmetic gift sets, comfy socks and much more. Shop via gifts for him, her, kids and couples and discover other handy Christmas essentials such as gift wrap, Christmas cards and decorations. A lot of the items in the Christmas section at Internet Gift Store are discounted too, so you can save money on each festive product you buy. Enjoy free UK delivery on orders of £35 or more, with the exception of personal gift items. Internet Gift Store offers a no quibble, 7-day money back guarantee. If you’ve decided that the item you’ve bought isn’t right for you, simply send it back in its original condition, along with its packaging, and Internet Gift Store will offer you a full refund or exchange. To contact customer services use the contact form on the Internet Gift Store website. Founded in early 2009, Internet Gift Store was created to provide people with a huge range of gifts for everyone from men, women and kids to bosses, friends, brothers, sisters and so on. The Internet Gift Store team work hard to find gift ideas that will stop you from having to scratch your head over what to get someone for their birthday or other gift giving occasion, offering you everything from personalised unicorn jewellery boxes to fragrances and figurines. Shop with an Internet Gift Store discount code and save money on every gift you buy, you can also enjoy free UK delivery on all orders over £35.